JNN 29 Dec 2013 Tokyo : International airports in Japan are striving to become friendlier to Muslims amid a steep increase in visitors from the Islamic world following the Japanese government’s relaxation of regulations for issuing visas. 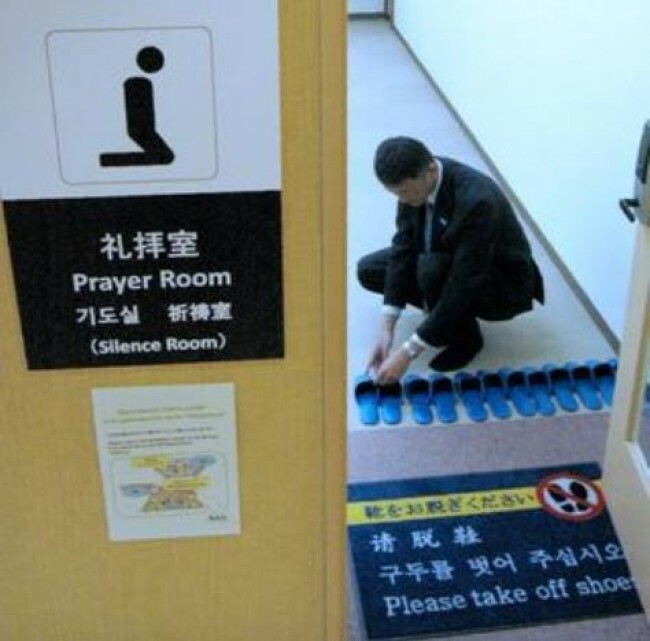 In the past, there were Muslims who performed prayers on the terminal building floor after arriving at Narita as they did not know of the existence of the private rooms, according to a 35-year-old Muslim in Japan. This entry was posted in Asia Pacific and tagged Haneda Airport, Islam, Japan, Ken Fujita, Muslim, Muslim World, Narita Airport, Narita International Airport, prayer rooms, Tokyo. Bookmark the permalink.